Instead of upgrading your home, and moving into a bigger one, many Denver residents are remodeling their existing homes instead. If you live in a great neighborhood with good school systems and supporting community, why not? As you’re remodeling your home, one way to cut down on costs is to use one company for as many jobs as possible. It will cut down on fee charges for visiting your home, and many jobs can be combined and worked on together, eliminating hours of run around time. Your local plumber has the ability to work with you on a variety of things. 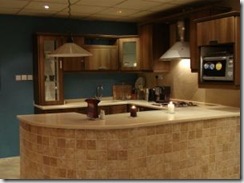 Remodeling your kitchen? Why not move your kitchen sink from its current location to a sunny window position. You’re local plumber can move the water supply to make room for more space. How about converting your electric range to gas? Gas gives you finer control over temperature, heats up quicker, and makes the cooking process more efficient. Your local plumber has the skills and knowledge necessary to lay the gas line from the main source, to where you need it in your kitchen design. Why stop at an electric range? While you’re putting in a gas line for your range, continue the line to an outside kitchen too. Plan for a gas grill, and make cooking in the warm summer months even easier. Upgrading your master bath, or creating an outdoor living area? A home spamay be the solution. From steam rooms, to shower panels, to hot tubs with jet systems, relaxation is close at hand.